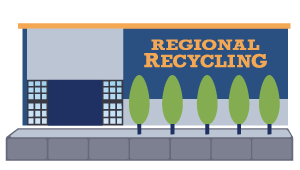 Recycle your scrap metal for cash at participating Regional Recycling locations. Because recycling companies pay for scrap metal, the collection of scrap metal on your construction or demolition site has an immediate payoff. A case study by the Recycling Council of Ontario showed how 15 companies were able to save a combined total of 2.5 million dollars through proper waste management and recycling their construction materials. You also save money by recycling your construction scrap metal by avoiding landfill fees and other related expenses you might incur when disposing of this waste another way. 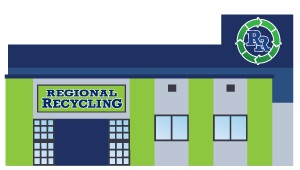 Instead of paying someone to accept your waste, bring your scrap metal waste to Regional Recycling and make a little of your money back. The cost of new material exceeds the cost of recycling. That’s a pretty great reason for recycling scrap metal. The more metal we need, the more metal mines need to produce and that depletes our natural resources. And, metal mining is not a renewable resource. There is not an unlimited supply and it does not replenish itself. Recycling metal keeps the demand for new material low and is also a factor in lowering the cost of metal. Recycling a ton of steel conserves 2,500 lbs of iron ore, 1,400 lbs of coal, and 120 lbs of limestone. It also saves enough electricity to power 18 million households for a year. That’s a huge benefit! Recovering a ton of aluminum cans saves 21,000-kilowatt hours of production over producing raw aluminum. Recycling saves the energy required to produce new materials and reduces the emissions from landfills created by throwing items in a dumpster. By taking the time to recycle your construction or demolition waste you greatly reduce your environmental footprint. Mining is an invasive process. Mining companies use huge excavators, run large fleets of trucks, and shovels dig deep into the ground. This digging destroys the soil, and releases toxic compounds into the air and water. Planning your scrap metal recycling will not only save you time on your construction site, it will also ensure that you make top dollar for your recycled scrap metal. There are lots of different types of metals that can be recycled, and they all have different values. The most lucrative options are non-ferrous metals, metals that aren’t magnetic. These include copper, aluminum, brass, gold, zinc, and tungsten. Ferrous metals, like iron and steel, can also be recycled, but often do not have a dollar value to recycle. The way to determine what type of metal an object is – Ferrous or Non-ferrous – you can do the Magnet Test. This is a handy trick to test if your scrap metal is worth any money. If the metal has even a hint of magnetic attraction, there some steel in the metal and the metal will not likely be worth anything. It is, however, recyclable. As you collect scrap, have someone to properly identify each metal and sort by types of metal. Check out our website for information on the types of metals that we recycle, and which ones we will pay you for recycling. With training, team members can find many types of scrap metal. 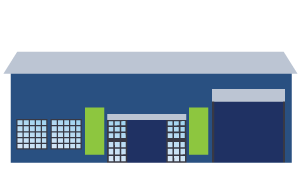 Teach your workers the types of building materials that contain different scrap metals and make note of all metal in the building before demolition so they can gather scrap later. Motivate your workers to find the scrap you need by rewarding them for the scrap they collect. Separate your metal into types making sure that you don’t mix types. 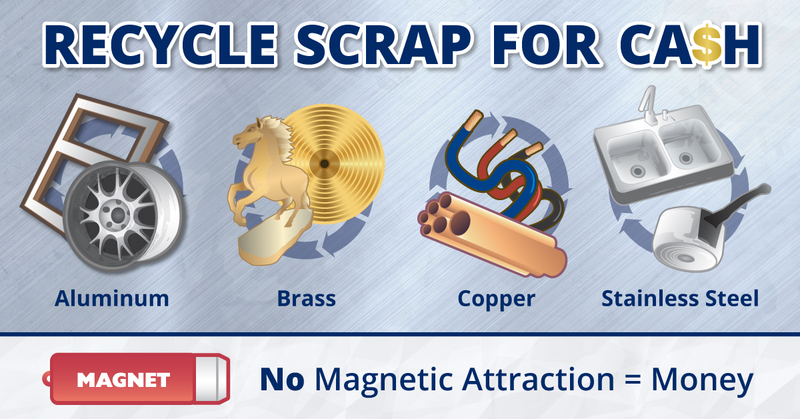 This lowers processing costs and increases the appraisal value of the scrap metal returned. You can really cash in by recycling the scrap metal from your demolition or construction site. You can also do great things for the environment! It really is a win-win. Bring your scrap metal to any of our Regional Recycling Bottle Depots today to get top dollar for your construction or demolition waste. Can I recycle this container? Some surprising answers! Look at the Difference you Made! Regional on Backpack Buddies – Working to reduce food insecurity! sonia on Backpack Buddies – Working to reduce food insecurity! Can I recycle this container? Some surprising answers! 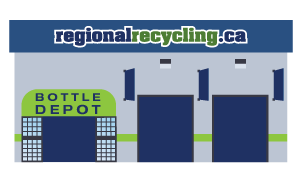 - Regional Recycling Blog on Look at the Difference you Made!